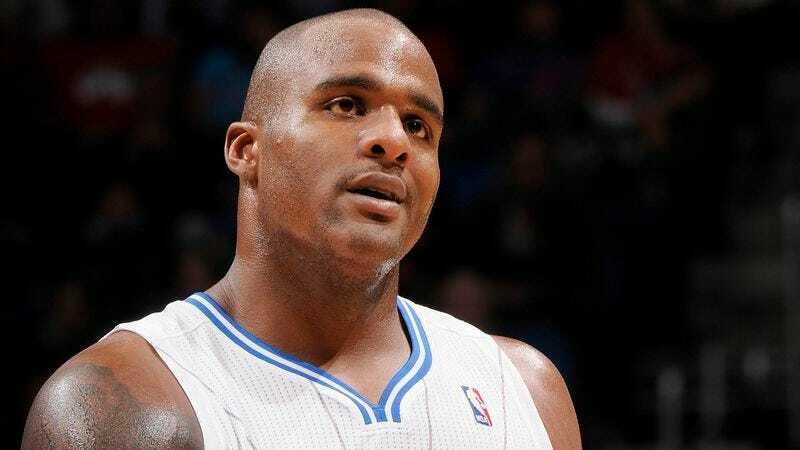 ORLANDO—The Orlando Magic were forced to evacuate the Amway Center prior to their game against Milwaukee Friday after team officials called security to investigate a large, suspicious duffel bag that turned out to be forward Glen Davis. "I thought it might have been a bag filled with extra basketballs, but when it started making strange noises, we had to call it in," said head trainer Keon Weise, who was the first to notice Glen Davis propped up atop a seat at the end of Orlando’s bench. "I feel terrible that nobody realized it was [Davis] until after security detonated him." The incident follows last week's report of a large animal finding its way into the locker room, which resulted in Orlando animal control officials mistakenly tranquilizing, tagging, and releasing Hedo Turkoglu.